Many Super Bowl watchers are familiar with the Doritos Brand Global Crash the Super Bowl Ad Contest, a competition Frito-Lay has been running since the 2006-07 football season. This year, Doritos received 4,900 videos submitted from 29 countries made by independent filmmakers — not ad agencies — to compete to have their ad played during the Super Bowl and receive $1 million. A panel of judges consisting of Doritos executives, advertising experts, and actress Elizabeth Banks picked 10 finalists. Those finalists’ videos are online currently and will be voted on by Web viewers. Two videos will be shown during the Super Bowl, one the winner of the Web audience vote, whose creator will receive $1 million, and one other video chosen by the panel, whose creator will win $50,000. I see this contest as a symbol of America’s romance with democratic opportunity, the idea that everyone should have their chance to reach their dream. 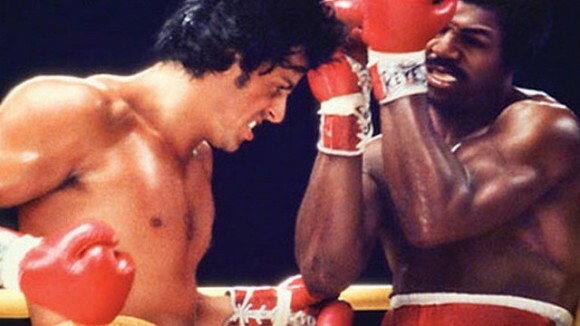 The Doritos contest is like the World Heavy Weight Title shot that Apollo Creed gave Rocky Balboa. It’s the chance, to be broadcast on the most watched event of the year, win $1 million, and possibly break into an advertising career. It is the same theme as the barage of talent contest reality shows that saturate our TV schedule, such as Top Chef, American Idol, Americas’s Got Talent, and my favorite, So You Think You Can Dance. Their message is that if you have the talent and drive you should be given your dream title shot, regardless of where you were born, how much money you have, or who you know. I’ve written before about my various YouTube series, such as Jew Complete Me, a reality dating show about my search to find the Jewish woman of my dreams, and my recent documentary, Saving Ferris, a film about the Chicago locations of Ferris Bueller’s Day Off. When it first debuted, I saw Jew Complete Me as my longshot chance to be discovered by a Hollywood executive who could give me a way into the professional mainstream TV industry. It wasn’t exactly a direct title shot, but it was my way of throwing my hat into the ring. Despite my videos receiving hundreds of thousands of views, I never became famous beyond the YouTube screen. So I chose to embrace the quality career options in front of me, journalism and the used machinery business. They weren’t my romantic dream jobs that I had fantasized about when I was 15 — at that age I had envisioned myself following in the footsteps of Quentin Tarantino. But it turned out that I liked both jobs and they grow on me every day. Nowadays, I fulfill my passion for filmmaking with projects like Saving Ferris. What’s nice is that I don’t have to make videos to eat. I get to make videos, and I only produce ones I feel like making. Do I ask myself what if I went a different route and tried harder to be a full-time filmmaker? Once in a while, but not that often like I used to. My main filmmaking ambition now is for my work to be seen and enjoyed by a lot of people. My dad Lloyd Graff took his title shot when he tried out for the Chicago Cubs as a sidearm pitcher. He wrote a letter to the team and somehow convinced the Cubs to invite him to tryouts at Wrigley Field. As his story goes, he didn’t have his control that day. Later, Lloyd was confronted with the choice of going into the relative security of the family machinery business or using his journalism master’s degree to take a shot at becoming the next Mike Royko. He chose the family business, and I’ve never once heard him say, “I wonder what would have happened if I had tried to get a job at the New York Times,” despite the fact that some of his fellow journalism classmates at University of Michigan did eventually become famous writers. But obviously, he never did give up his dream job of reaching thousands of people with his writing. Question: What was your dream job when you were younger? Noah Graff writes for Today’s Machining World and sells machines for Graff-Pinkert & Co.
How young. I remember when I was very young telling my Mom I wanted to be a ditch digger. I thought they were pretty cool machines. Then in my late teens early twenties I wanted to be a professional bowler. Bowling was big back then. But I wasn’t quite good enough. So, here I am in the family business. Life is pretty good. All I fantasized about when I was 15 was GIRLS. Now all I fantasized about is me and 3 strippers in a hot tub filled with Geritol.